Beej Mantras are the monosyllabic sounds. A beej mantra represents the essence of the mantra. Every devta has particular beej mantra. Generally a beej mantra consists of single syllable but some times it comprises several syllables also. There are five main beej mantras. The beejs of the five elements, of Ether, Air, Fire, Water and Earth, are Haum, Yam, Ram, Vam and Lam respectively. The Sankrit word beej in Hinduism and Buddhism is used as a metaphor for the origin or cause of things. Om is most important among all the beej mantras. A majority of mantras begin and end with this sound. Om means yes and it affirms anything what is said after its pronunciation. Here ha is Shiva and au is Sadashiva. This mantra is pronounced in the worshiping of Lord Shiva. It is a major mantra of all powerful goddesses and ruler of the world. This governs over the cosmic magnetic energy. Hrim destroys the worldly maya. According to the Vedas this is mantra of Sun. Hrim opens the lotus of the heart to the inner Sun of consciousness. It is a mantra of the heaven or the consciousness space in which all the worlds exist. It is the mantra of great Goddess Kali. Kali is supposed to be the goddess of energy and transformation. This mantra grants all spiritual facilities and power. Krim has a special power relative to the lower chakras, which it can both stimulate and transform. Krim awakens and purifies the subtle body. As a mantra of work and transformation it is the mantra of Kriya Yoga, the Yoga of practice. It is the prime mantra of the Yoga Shakti. It should be used with care due to its strength. Hum is a Shiva mantra but also a mantra of Chandi, the fierce form of Goddess Kali. It is used to destroy negative energy and creates great passion and vitality. As a powerful mantra it should also be handled carefully. Hum is a Vedic chant of fire. This mantra used to make offerings into the sacred fire. It is a mantra of love, devotion and beauty. This mantra relates Goddess Lakshmi, the Goddess of Beauty and divine grace. 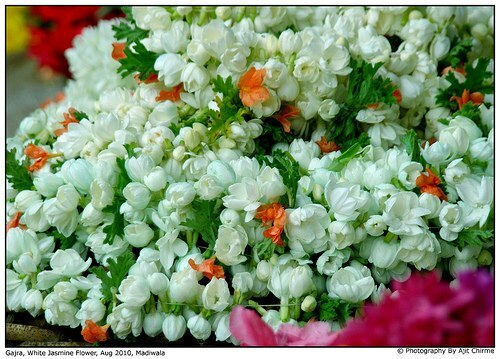 Shrim also relates to the head and can be used to flood the senses with divine beauty and delight. According to the Vedas shrim is a Soma mantra. It denotes love, joy, bliss, beauty and delight. The beej mantras should not be chanted by the people who are not well acquainted by them as all the beej mantras are very strong and powerful. A, Aa, E, Ee, O, Oo etc are all vowels and are spoken with sounds that come from within i.e: stomach, buzzing in the ear, nasal tones, tongue rolling etc. each of which stimulates one part of the body or other thereby corresponding to a chakra. Chakras have different tones and move and different frequencies, the root being the slowest and most dense to Ajna or third eye chakra being the fastest . The beej mantra or single seed syllable of the chakra balances the chakra and thereby purifies it. Once you start practicing it for a few days, it will resonate with your energy system. Mantra Therapy is the positive practice of concentration on a particular sound. ‘Mana’ means the mind and ‘Tra’ means vibration. Any sound or word that creates positive vibrations in mind is called a Mantra. Sound is a form of energy made up of vibrations or wavelengths. Certain wavelengths have the power to heal, others are capable of shattering glass. Repetition of Mantras in meditation, will bring individual to a higher state of consciousness. The practice of Mantra leads to concentration of the mental power at a particular point and then allowing it to be equally distributed over the body so that one experiences mental bliss. The mind feels relaxed and all systems of the human body function in a normal manner. Scientists have proved that chanting a Mantra can cure many if our physical and mental problems. About 98% of our problems are psychosomatic. ‘Psycho’ means the mind & ‘Somatic’ means the body. Most of our problems start from the mind. Too much of stress leads to high blood pressures, nausea, dihoria, migraine, acidity, eczema, respiratory diseases and many more. The practice on Mantra librates the mind from all the suffering, irritability, over attachment, ego, lust, and helps one enjoy the spiritual bliss. By chanting a Mantra one feels absolutely blissful and relaxed in the mind. During meditation, we always use a Mantra and try to get rid of all the thoughts that are present in the mind. Mantra can be chanted internally (In the mind, Inaudioable) or externally (by chanting loudly, audible). The internal Mantras are generally small and are also called beej mantras or seed mantras. They are powerful vibrations having great healing powers and are on wavelength far beyond physical sound. In meditation, use the internal mantra as barrier of thoughts and allow the mantra to take the place of thoughts in mind. This simple technique of reducing of all kinds of thoughts in the mind is a very powerful technique to reduce stress. Consider your Mantra as your guide and friend.Take the help of your Mantra whenever you feel down or low and life, when you are angry lonely, afraid, undeceive or in trouble. Your Mantra will help you increase your will power, sharpen your memory and motivate you, thereby making you more confident person and a better human being. Many patient have completely recovered from their sickness by chanting mantras. Even when the disease is incurable, the patient’s experience great relief by chanting a Mantra. A seed when sown grows into a fruitful tree, like that Beej Mantra is a fun of shakti. There are Various Beej Mantras which are an important part of Mantras and each Beej mantra has its own power and when mixed with mantras adds extra power to the traits of that mantra. According the mantras which contain up to nine words are termed Beej Mantra, ten or twenty words forms Mantra and beyond are known Maha Mantra.Broadly mantras are divided into three parts as Satwic, Rajsic, and Tamsic which respectively indicate Atma uplift, religious and material comforts and death, Uchatan, loss of enemies and opponents. SAMPUT : Samput are the specified words used in a mantra. These can be used in the beginning, middle or at the end of a mantra. The Samput has a great value in Mantra Shakti or in other Mantras and be used carefully. Mantras one should use in its daily life ( Beej Mantra ) Astroshastra provides you a few important Mantras, method of their recitation, use and other aspects. More of them STAND TESTED and are very useful for day to day life. These mantras have been selected from Puranas, Hindu religion and old texts. Other religious persons may follow their corresponding words. Which are equally applicable and can be recited beneficially. These basic Beej mantras are for every time use by the Sadhaka, which lead early to the siddhi of your mantra. Om Namah Narayane Aye Namaha. Om Namah Bhagwate Vasdevaye Namaha. Om bhur bhavsa soha tat savetur Vareneyam bargo devasyaha dhi mahi dayo yona parachodyat. 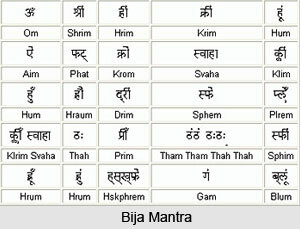 Beej Mantra : A mantra is full of shakti and there are various beej mantra each with it own power. When mixed with other mantras, they provide extra power to that mantra. 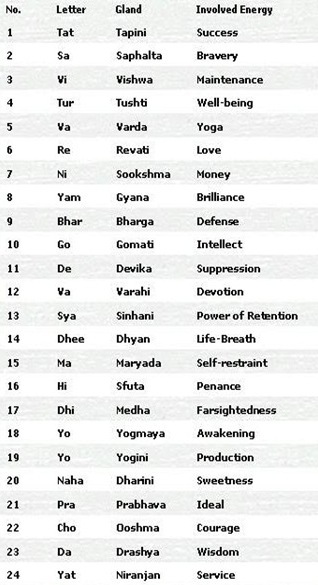 Basic beej mantra “Om” is further expanded into the following types of beej – yog beej ,tejo beej, shanti beej and raksha beej, which are respectively known as aeng (aim) hreem, sreem, kreem, kleem, dum, gam, glaum, lam, yam, aam or um or ram. 1. Kshasraum – Narsimha bija.Removes all sorrows and fears. 2. Aim – Saraswati bija.Makes proficient in all branches of learning. 3. Shree – Lakshami mantra.Leads to prosperity and contenment. 4. Hareem – Bhuvaneshvari mantra.Makes a person leader of men and help get a person all he needs. 5. Kaleem – Kamraj mantra. Fulfills one’s desires. 6. Kreem – Destroys enemies and gives happiness. 7. Dum – Durga beej. One gets whatever one wants. 8. Gam Glaum – Ganesa beej. Removes all obstacles and promotes success. 9. Lam – Earth beej. Helps to secure good crops. 10. Yam – Vayu beej. Help secure rains. 11. Aam Um Ram – Beej mantras ao Brahma,Vishnu and Rudra. Gayatri Mantra “Om bhur bhava suha tatsa vetur vareneyam bargo devasyaha dhimi diyo yona parachodayat.” Few words can be added after Om bhur bhava swaha as samput to fulfill various desires. Some samput with their purposes are given below. Om aeeng kaleeng soo – for proficiency in words. Om shareeng hareeng shareeng – for wealth and comforts. Om aeeng hareeng kaleeng – enemies are destroyed, troubles vanish and the individual is blessed with joy and happiness. Om shareeng hareeng kaleeng – Blessed with progeny. Om hareeng – Recovery from diseases. Om aeeng hareeng kaleeng – Protection from all evil forces. Hopes and wishes are realised. Besides these purposes given above,there are mantras for fulfilment of all kind of desires and for reduction of all kind of flaws. There are mantras for worship of different Gods and Goddesses and pleasing them to fulfill one’s desires. Panch Akshari – “Om Namah Shivaye” – It fulfills all desires.It leads to moksha and all sins are destroyed. It has no methodology assocaited and can be recited by anyone anytime. Asht Akshari – “Om Namah Narayanaya” – One can achieve and can be blessed with anything. – “Om Gam Ganapataye Namaha” – It not only removes all obstacles but also gives success in one’s efforts. Hanuman Mantra – “Om Hoom Hanumate Rudratamakaye hoom phut swaha” – There is no favour that Hanumanji cannot bestow. Hanumanji is the embodiment of all good qualities which he freely gives to his devotees. Saraswati Mantra – “Om Aim Kleeng Saum Saraswatiya Namaha” – It makes a person a learned scholar and he attains high profeciency in education. This mantra should be recited all morning pujas. – “Om Hareem Parambraham Parmaatmane Hari Harbrahyendraya Dattatroyaye swaha” – Dattatreya can bestow everything on his followers. To acquire Siddhi [mastery] this Exorcism Mantra has to be recited 121 times for a total period of 21 days. This procedure has to be commenced on a Saturday and each day the procedure should be commenced after worshipping Hanuman . What type of clothes should be worn during performance of Japa? Dhoti and Kurta are cheap and convenient wears, which, besides meeting the above objectives, also serve the purpose of religious and cultural integrity. Dhoti and Kurta are also easily washable. In those regions where Dhoti-Kurta are not traditional wears, clean-washed Pyjama may be used. Socks should never be worn during the Sadhana. These are considered as dirty as shoes. (However, to ward off extreme cold, one may wear clean socks reserved exclusively, for this purpose). Though traditionally a yellow Dupatta (Angavastra) on shoulders is recommended, it is not mandatory. Ladies may wear yellow Saree or a loose traditional wear. For Group performance, it is advisable to keep stock of spare clothes for the visiting participants. What is the significance of Havan? Jap and Havan are basic ingredients of an Anusthan. After initiation (Dikcha) the worshipper (Sadhak) makes a total surrender to Gayatri and Yagya (his spiritual parents), which are inseparable. Invocation of both is done through specified procedures during the Anusthan. What is the ideal ‘Bramhabhoj’ after completion of the ‘Anusthan’? After Poornahuti in the Havan. Traditionally it requires feeding Brahmans or young maidens. Qualified, deserving Brahmans are not easily available, these days. Alternatively, maidens (who being symbolic of mother power of God the Matri Shakti, are fed to augment faith) are offered food, but at times they are not permitted by self-respecting parents to take food in a stranger’s house. The best time is in the morning for all spiritual activities.And yes mantra chanting can be done in instalments ,the maximum breaks taken can be upto six.Although one should try to talke less breaks. Sadhanas are carried out in two ways. These are designated as the ‘Dakchin Marg’ and ‘Vaam Marg’ or Tantra. The Vaam Marg, on the other hand, is the technique of pulling out bio-energy from living beings and utilizing it for exercising psychic control over others and for exorcist activities. Tantriks call this energy as Durga or Kali. In practice, the Tantrik excites the bio-energy of an animate being by violently killing it or inflicting excruciating pain on it by extraction of flesh or blood. It is tempting for some highly egoistic and ambitious persons to acquire extraordinary powers through Tantra, But its practise is extremely complex and dangerous. Yagya should be completed in a fixed time during the day only. The reason being the possibility of insects, worms etc. getting killed in the sacred fire, which makes it a violent and profane act. It is not usually advisable. Is taking a bath essential prior to Jap? It is advisable to take a bath before sitting for a jap,the saadhak should maintain cleanliness ,but again changes,in daily routine can be taken into account. We prescribe cleanliness of body and clothes, it is not considered mandatory for all occasions. Situations may arise when the worshipper finds it difficult to adhere to this rule strictly. Under such circumstances, one should not discontinue the routine of worship. Besides cleanliness, the objective of these preparatory rituals is to help the worshipper in getting rid of lethargy. A sick or weak person may wash his arms, feet and face, or if possible wipe the body with a wet cloth. Saadhk believing in Divinity ‘with form’ (Sakar) are advised to concentrate on an idol or picture of Gayatri, whereas those having faith in formless God (Nirakar) may concentrate in the central, part of the sun, all the while imagining that the ethereal solar energy, it is necessary to concentrate one’s thoughts exclusively on the deity. Is Jap permissible along-with other activities?One may perform Jap even while walking or without taking a bath or during other physical activities. On such occasions, however, it should only be a mental process without movement of lips, larynx and tongue. This is called an Upaanshu jap. Instead of taking the help of a rosary, a clock may be used for keeping a count . How is it possible for illiterate persons and children to do Gayatri Sadhana, for whom the pronunciation of the Mantra is somewhat difficult? Illiterate persons who cannot utter Gayatri Mantra correctly, can perform Jap of PanchakshariGayatri “Om bhoor Bhuvaha Swaha.” If they cannot utter even these words correctly, they can perform Jap of “Hari Om Tat-Sat.” This also serves the purpose of Panchakshari Gayatri Mantra. Having reached a certain degree of realization on the path the Yogi can become a Guru and have disciples. The Gurus of the International Sivananda Yoga Vedanta Centers are Sri Swami Vishnu-devananda and his own Guru Sri Swami Sivananda. The Yogis traditionally embrace either the householder path after their training or sometime the monastic life by renouncing the world and becoming a Swami or renounciate. Why do Yogis breathe through the nose both when inhaling and exhaling ? Because it is more natural and because the nose in an integral part of the respiratory system, allowing the air to be heated, moistened and filtered. and since then, I have developed more devotion to a different deity and I feel the vibration of its corresponding Mantra more powerfully. Should I switch anyway? Many meditators share the experience described above. And yet it would be a major mistake to switch Mantras. It is a common mental pattern to get bored with something we have been doing over a long period of time. Everything else seems very new and refreshing in comparison. However, regularity is essential in order to go deeper and deeper in meditation. Should I follow a Vegetarian diet during jap? A healthy motto is: “Eat to live, not live to eat”. It is best if we understand that the purpose of eating is to supply our being with the lifeforce,or Prana, the vital life energy. So the greatest nutritional plan for the Yoga student is the simple diet of natural fresh foods. Any change in diet should be made gradually. Start by substituting larger portions of vegetables, grains, seeds and nuts until finally all flesh products have been completely eliminated from the diet. No home is occupied, such as tree vein as the whole body of the individual’s physical or catvaravani is occupied subtle form. This is known as the Temple catvaravanice holy jnanaraja maulinni paramasuddha nadacatanyala, because of its scientific tools always pros and person catvaravani it sphuranari nadacatanyaci Ghosh, sound, sounds and the four variants in the true sense of the word phulatata, baharatata. The car is the voice element. The voice of the glory that is karacaca luxury, because the voice is the voice of business is not only antaratmyaca tongue and vyaktimattvacehi major part of each person. When each person banayala not call pure form catvaravanice by car nityanemane device to your personality khulavanya? Catvaravanituna phulava. Khulava own personality and health. मन कोणी दाखवू शकत नाही तरी मनाचं अस्तित्व आपण मानतो, त्याच्या स्वास्थ्यासाठी मानसोपचारतज्ज्ञाकडे जातो. मग भारतीय अध्यात्मशास्त्रात नादचैतन्य ‘ॐ’ हाच जीवात्मा आहे व तोच परमात्मा आहे, असं ठामपणे म्हटलं असताना आत्म्याचं अस्तित्व का नाकारायचं? हा प्रश्न विचारणारा कुणी ऐरागैरा नाही, तर डॉ. जयंत करंदीकर नावाच्या एका प्रथितयश डॉक्टरचा हा प्रश्न आहे; पण ते नुसता प्रश्न विचारून थांबले नाहीत, तर ‘ओंकार इति इदं सर्वम्’ हा वेदान्तातील सिद्धान्त त्यांनी वैज्ञानिकदृष्टय़ा सिद्ध करून दाखवलाय. ७० वर्षांच्या या अहमदनगरस्थित ज्ञानयोग्याने गेली १५-१६ वर्षे प्रचंड संशोधन करून ‘ॐ शक्ती व्हाइस एनर्जी थेरपी’ ही जगातील होलिस्टिक अाल्टरनेटिव्ह उपचार पद्धती विकसित केलीय, ज्यात ओंकार उच्चारण्याच्या ६४ पद्धती आहेत. शिवाय श्वासपटलावर आधारित श्वसनाचे २० प्रकार, ध्यानाच्या विविध क्रिया असं बरंच काही त्यात आहे. आजवर हजारो गरजवंतांनी या उपचार पद्धतीचा लाभ घेतलाय. वैद्यकीय उपचाराबरोबर ५००च्या वर शिबिरं, अगणित व्याख्यानं, असंख्य मुलाखती अशा सर्व माध्यमांतून ओंकार साधनेचा प्रसार हेच आता डॉक्टरांच्या आयुष्याचे ध्येय बनलंय. विस्मित करणारी गोष्ट म्हणजे हृदयाची कार्यक्षमता समजण्यासाठी ज्याप्रमाणे आपण ईसीजी काढतो त्याप्रमाणे आलेल्या साधकाच्या वा रुग्णाच्या प्राणशक्तीचं व जीवशक्तीचं बल मोजण्यासाठी डॉक्टर ई.व्ही.ई.जी. (इलेक्ट्रो व्हॉइस एनर्जी ग्राफ) काढतात. यासाठी त्यांनीच शोधलेल्या उपकरणाद्वारे त्या व्यक्तीचं बल कळलं, की इतर कोणत्याही तपासण्या न करता सरळ ओंकार उच्चारण उपचार सुरू. अशा प्रकारे व्याधीमुक्त झालेल्या अनेक रुग्णांचे अनुभव त्यांच्यापाशी आहेत. या अभ्यासामागची डॉक्टरांची प्रेरणा म्हणजे ज्ञानेश्वरीतील ओव्या. या ओव्यांनाच ते सद्गुरूस्थानी मानतात. खरं तर ओंकार साधनेकडे वळण्यापूर्वी म्हणजे वयाच्या ५०-५२ पर्यंत ते आपलं हॉस्पिटल व गायनाचा छंद या दोन गोष्टींतच गुरफटले होते. संगीत विशारद व पुणे आकाशवाणीचा ‘अ’ श्रेणीचा गायक अशी दोन बिरुदं नावापुढे लागली होती. गाण्याचे कार्यक्रम करत असताना ज्ञानेश्वरीतील ओव्यांना संगीत देण्याची कल्पना त्यांना सुचली आणि ‘ज्ञानेश्वरी अमृतगंगा’ या नावाने ज्ञानेश्वरीतील काही निवडक ओव्या निरूपणासह सादर करायला त्यांनी सुरुवात केली. ज्ञानेश्वरी लिहून ७०० वर्षे पूर्ण झाल्याच्या निमित्ताने डॉक्टरांनी हा कार्यक्रम ठिकठिकाणी केला. पंढरपूरला विठ्ठल-रखुमाईच्या चरणाशी आपली कला रुजू करण्याचं भाग्यही त्यांना लाभलं. त्याच्या पुढच्याच वर्षी म्हणजे ज्ञानेश्वरांना समाधी घेऊन ७०० वर्षे झाली, त्या वर्षी ज्ञानेश्वरांच्या समाधी सोहळ्याचं अप्रतिम वर्णन करणारे नामदेवांचे १४४ अभंग त्यांच्या हाती आले. त्यातील १६ अभंग घेऊन ‘संजीवन समाधी ज्ञानेशाची’ हा नवा कार्यक्रम निरूपणासह बसवला. त्याचेही अनेक प्रयोग झाले. संतांच्या या ओव्या-अभंगांतून त्यांचा ओंकाराशी संबंध आला तरी नाळ मात्र जुळली नव्हती. प्रत्येक गोष्टीसाठी एक वेळ यावी लागते, असे म्हणतात. इथंही तसंच झालं. तुम्ही गायलेल्या ओव्यांची कॅसेट काढाच, असा आग्रह लोकांनी धरल्याने डॉक्टर एकदा रेकॉर्डिगसाठी एका स्टुडियोत गेले; पण अकस्मातपणे त्यांचा गळा त्यांना साथ देईना. एका कसलेल्या गायकासाठी हा धक्का सहन करण्यापलीकडचा होता. त्या बेचैन मन:स्थितीत, ‘एक डॉक्टर असून स्वत:च्या खराब गळ्यावरचा उपाय तुला माहीत नाही?’ हे रेकॉर्डिग करणाऱ्या मित्राचे शब्द त्यांच्या जिव्हारी लागले. या घटनेवर अंतर्मुख होऊन विचार करताना एकाएकी ज्ञानेश्वरीतील एक श्लोक त्यांच्यासमोर प्रकटला. म्हणजे या विश्वात जे दु:खी, कष्टी, पीडित आहेत, त्यांच्या हाकेला जो ओ देतो तो हा ओंकार. यापुढे जाऊन त्यातील गर्भितार्थ डॉक्टरांनी शोधला तो असा की, ओंकार प्रतिसाद देईल; पण केव्हा? जेव्हा त्याला अचूक शब्दात साद घालू तेव्हाच. म्हणजेच त्याचं योग्य उच्चारण केलं तरच तो मदतीला धावून येईल. ही खूणगाठ मनाशी पक्की झाल्यावर ओंकार उच्चारणाच्या मार्गदर्शनासाठी डॉक्टरांनी अनेक साधुसंतांची भेट घेतली. ओंकार-माहात्म्य सर्व जाणत होते; पण शास्त्रशुद्ध उच्चार कसा करावा याबद्दल कोणीही ठामपणे सांगू शकलं नाही. मग त्यांनी स्वत:च अभ्यास सुरू केला. गीता, उपनिषदं, संतसाहित्य वाचून काढलं. आधुनिक आवाजशास्त्र व वाणीशास्त्र यांचा अभ्यास केला. अशा पुऱ्या ३ वर्षांच्या संशोधनातून अखेर त्यांना आपल्या प्रश्नाचं उत्तर मिळालं. ते म्हणजे ओंकार उच्चारताना ओनंतर बिंदूमात्रा यायला हवी व नंतर ती यकाराच्या गुंजनात मिसळली पाहिजे. हे ग्राह्य़ जाणल्यावर त्यांनी बिंदूमात्रा जाणवेल अशा प्रकारे साडेतीन मात्रांच्या ओंकाराचा उच्चार बसवला आणि त्याला नाव दिलं तरंग ओंकार. एकूण ७ सेकंदांच्या या ओंकार उच्चारणात ‘ओ’ चार सेकंद, ‘ओं’ एक सेकंद व ‘म’ २ सेकंद अशी ही विभागणी आहे. त्यानंतर सतत अभ्यास करून डॉक्टरांनी ओंकार उच्चारणाच्या अनेक पद्धती शोधून काढल्या. हा विषय जाहीरपणे मांडण्यासाठी त्यांना १९९९ साली पहिली संधी मिळाली. नाशिकच्या गांधर्व महाविद्यालयातर्फे अखिल भारतीय गानशिक्षक परिषद घेण्यात आली होती. त्यात ‘आवाजशास्त्र ओंकारशास्त्र’ या विषयावर बोलण्यासाठी त्यांना अर्धा तास देण्यात आला होता; पण प्रत्यक्षात ते बोलायला उभे राहिले आणि समोरच्या ५०० तज्ज्ञ गायकांनी त्यांना थांबूच दिलं नाही. सलग अडीच तास ते बोलतच राहिले. या अभूतपूर्व प्रतिसादानंतर डॉक्टरांनी गायकांची शिबिरं घेण्यास सुरुवात केली. त्याबरोबर आपल्या रुग्णांना वैद्यकीय उपचारांबरोबर ओंकार थेरपीची जोड देणं त्यांनी चालू केलं. यातून अविश्वसनीय परिणाम मिळू लागले. त्यांचा स्वत:चा गळा तर ३ महिन्यांतच पूर्वीपेक्षाही सुरेल झाला आणि आजही तो तितकाच श्रवणीय आहे. ओंकाराची महती पटल्याने आजवर अनेक मोठे गायक डॉक्टरांकडे उपचारासाठी वा मार्गदर्शनासाठी येऊन गेले आहेत. 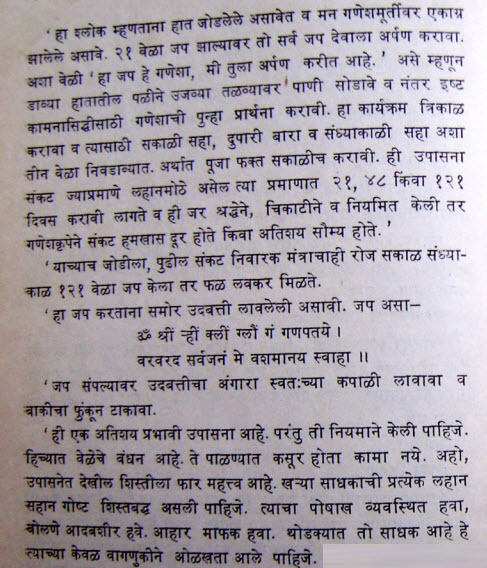 त्यातील काही नावं अशी- पं. फिरोज दस्तूर, यशवंत देव, सोनाली राठोड, सुनिधी चौहान, रवींद्र साठे, मिलिंद इंगळे, अनुराधा मराठे असे अनेक. एवढंच नव्हे, तर गोवा सरकारच्या सांस्कृतिक खात्याने तिथल्या गायकांसाठी डॉक्टरांचं अडीच दिवसांचं एक शिबीरही पणजीत आयोजलं. ओंकाराच्या सुयोग्य उच्चारणाने वाणीदोष १०० टक्के नाहीसे होतात, असं ठाम प्रतिपादन करताना डॉक्टर म्हणाले की, ज्याप्रमाणे मोबाइल एकदा संपूर्णपणे चार्ज केला, की बराच काळ कार्यक्षम राहतो, त्याप्रमाणे रोज सकाळी २० मिनिटांची डॉक्टरांनी विकसित केलेली ओंकार साधना केली, की पुढचे २४ तास तुम्ही उत्साही व ताजेतवाने राहू शकता. ओंकार उच्चारणातील शास्त्रदेखील त्यांनी सांगितलं. ते म्हणाले, साधनेची सुरुवात कधीही भरपूर श्वास घेऊन करायची नाही. श्वास नेहमी बोलल्यासारखा सहज आला पाहिजे. त्याचबरोबर दोन ओंकार उच्चारणामधील श्वास सप्तांगाने (तोंडाने, कंठाने, पोटाने, सहज, लयबद्ध, फुप्फुसांच्या मागच्या भागातून व खालच्या दिशेने) घेतला पाहिजे. त्यांच्या संशोधनानुसार ओंकार उच्चार सहज, लयबद्ध, नादमय, तेजोमय, मंदिराच्या गाभाऱ्यातून आल्याप्रमाणे, घंटानादासारखा व तेलाच्या धारेसारखा यायला हवा. त्याने साधकाचं मन प्रसन्न व्हायला हवं. दमछाक होता कामा नये आणि तो पुन:पुन्हा उच्चारायची ओढ लागायला हवी. ‘खुले आकाश, प्रकृती झकास’ हे या थेरपीसाठी डॉक्टरांनी शोधलेलं घोषवाक्य. कंठाचं आरोग्य खुललं तरच पेशींचं आरोग्यही फुलतं. परिणामी शरीरातील रोम रोम कार्यरत होतात. हा मुद्दा अधिक स्पष्ट करताना ते म्हणाले की, ओंकाराच्या साडेतीन मात्रा मनुष्याच्या शरीरातील षट्चक्रांवर स्थित असल्यामुळे ओंकार साधनेमुळे सूक्ष्म नाद चैतन्याची मोहळं असलेल्या षट्चक्रांची शुद्धी होते व त्यांच्या कार्यात समतोल राहतो. नगरपासून १५ कि.मी. अंतरावर डोंगरगण येथील ७ एकर जागेत डॉ. करंदीकरांचा ‘ओम् शक्ती व्हाइस एनर्जी थेरपी सेंटर’ हा ट्रस्ट वसलेला आहे. आरोग्य, अध्यात्म व संगीत अशा तीन पातळ्यांवर इथे काम चालतं. इथले उपचार सशुल्क आहेत; परंतु डॉक्टरांनी आपले काही शिष्य तयार केले आहेत. ते सर्वसाधारण व्यक्तींना निरोगी राहण्यासाठी ओंकाराचा मंत्र विनामूल्य शिकवतात. यातील एक नाव म्हणजे कल्याणचे श्रीकांत रानडे. आनंदाची गोष्ट म्हणजे आता लवकरच मुंबईतही श्रीकृपा चॅरिटेबल ट्रस्टच्या सहकार्याने डॉ. करंदीकरांचं नवं केंद्र सुरू होणार आहे. डॉक्टरांच्या घराला सामाजिक जाणिवांचा वारसा आहे. त्यांची आजी (आईची आई) जानकीबाई आपटे यांनी ७१ वर्षांपूर्वी म्हणजे १९४३ साली दलित मुलींच्या शिक्षणासाठी नगरमध्ये बालिकाश्रम हे वसतिगृह सुरू केलं. त्यांच्यानंतर डॉक्टरांच्या आई स्वातंत्र्यसैनिका माणिकताई करंदीकर यांनी त्याची जबाबदारी घेतली आणि आता गेली २५ र्वष डॉक्टर या संस्थेचे ट्रस्टी आहेत. त्यांचे वडीलही स्वातंत्र्यसैनिक होते. आयुर्वेदाचं शिक्षण घेतलेल्या त्यांच्या वडिलांनी म्हणजे करंदीकर गुरुजींनी आपलं आयुष्य कुष्ठरोग्यांसाठी वाहून घेतलं. त्यांच्या स्मृतिप्रीत्यर्थ डॉक्टरांनी १९७९ मध्ये कुष्ठरोग्यांच्या निरोगी मुलांसाठी बालसदन उभारलं. गेली ३५ वर्षे या ट्रस्टची धुराही डॉक्टरांच्या खांद्यावर आहे. ही सामाजिक दृष्टी म्हणजे डॉक्टरांच्या ओंकार साधनेतील कर्मयोगच म्हटला पाहिजे. करंदीकरांचं घर म्हणजे डॉक्टरांचं एक पोळंच आहे. पत्नी गीता करंदीकर या स्त्री रोगतज्ज्ञ असून स्वत:चा पेशा सांभाळून त्या डॉक्टरांना ओंकार प्रसारात मदत करतात. मुलगा मानसोपचारतज्ज्ञ, मुलगी भूलतज्ज्ञ, जावई फिजिशियन, सून समुपदेशक असा सगळा परिवार एकमेकांना पूरक आहे. डॉक्टरांची ओपीडी आता डोंगरगणला सेंटरवरच असते. वैद्यक विषयातील परिषदांमध्ये ते याच विषयावरचा पेपर वाचतात. ॐ जीवेश्वर तराणा ही शास्त्रीय संगीतातील नवी तराणा पद्धती त्यांनी विकसित केलीय. या कार्यक्रमाचे प्रयोगही सुरू असतात. तर काही वर्षांनी आपोआपच समस्त भारतीयांचं आत्मिक वय १५ असेल यात शंका नाही. *ॐकार उच्चारताना आधी मुद्दाम खोल श्वास घेऊन उच्चार सुरू करू नये. आपण दैनंदिन जीवनात बोलताना, कधी आधी श्वास घेऊन बोलतो का? मुळीच नाही ! मग ॐकार उच्चारताना आधी श्वास कशासाठी? कारण नसर्गिकत: श्वास सोडल्यानंतरही ५०० सी.सी. श्वास फुप्फुसात असतोच ज्याला टीडल एअर असे म्हणतात आणि तेवढा श्वास ॐकार उच्चारणासाठी पुरेसा असतो. श्वास घेताना तो मुद्दाम ओढू नये, खेचू नये, घिसडघाईने अथवा गचके मारत घेऊ नये. ॐकाराचा उच्चारही कंठातून बोलण्याइतका सहज व लयबद्ध झाला पाहिजे तरच ॐकाराची परमशुद्ध स्पंदने निर्माण होऊन सुसंवाद साधून सुयोग्य परिणाम घडतील. कितीही वेळ साधना केली तरीही साधकास थकवा येणार नाही. * ॐकार साधना ही उदरश्वसनाच्या (म्हणजे श्वासपटलाधारित श्वसनाच्या) पायावरच उभी राहिली पाहिजे म्हणजे दोन ॐकार उच्चारणामध्ये जो श्वास घ्यायचा आहे तो मुखाने, कंठाने, पोटाने, सहज, लयबद्ध, फुप्फुसाच्या मागच्या भागातून व खालच्या दिशेने घेतला गेला पाहिजे, असा सप्तगुणाने श्वास घेणे ही ॐकार उच्चारणातील अतिशय महत्त्वाची गोष्ट आहे. छातीतील फुप्फुसांचा वरचा निमुळता भाग फुगवून व खांदे उचलून श्वास मुळीच घ्यायचा नाही. आपण पोटाने श्वास घेत आहोत की नाही हे तपासण्यासाठी उजव्या हाताचा पंजा पोटावर (नाभीवर) व डाव्या हाताचा पंजा छातीच्या वरच्या भागाच्या मध्यावर ठेवावा. दोन ॐकारांच्या मध्ये जर पोटाने श्वास घेतला गेला (पोटाने श्वास घेणे म्हणजे पोटात हवा भरणे नव्हे तर श्वासपटल आकुंचित करून फुप्फुसाच्या खालील रुंद भागात हवा भरणे) तर पोटावरील हात उचलला जाईल, श्वास घेताना तसा तो उचलला गेला पाहिजे. छातीवर ठेवलेल्या हाताची ॐकार उच्चारणामधील श्वास घेताना बिलकूल हालचाल होता कामा नये. दोन ॐकार उच्चारणामध्ये, वर सविस्तर सांगितल्याप्रमाणे श्वासपटलाधारित श्वसन केले म्हणजेच पोटाने श्वास घेतला तर साधनाभर साधकाचा कंठ खुला राहतो, परंतु खांदे उचलून किंवा छातीचा वरचा भाग फुगवून श्वास घेतला तर कंठ बंद होतो. म्हणून ॐकार साधकाने खांदे उचलून आणि छातीचा वरचा भाग फुगवून कंठ बंद करणारा श्वास कधीही घेऊ नये मग ती प्राणायामाची क्रिया असो वा ॐकार उच्चारणाची. सारांश – दोन ॐकार उच्चारणामध्ये श्वासपटलाधारित श्वसन हा ॐकार उच्चारणाचा पाया आहे. मागील तीन लेखात ॐ नादचतन्याच्या उच्चारणातील अष्टगुणापकी विस्सष्ठ, मंजू, िबदू, अविसारी अशा सात गुणांबद्दल जाणून घेतले. या लेखात ॐकाराचा महत्त्वाचा गुण म्हणजेच निन्नादी याचा अर्थ काय व उच्चारणात त्याचे निन्नादीपण कसे साकारायचे हे समजावून घेऊ. निन्नादी म्हणजे नाद व झंकार असलेला, ज्याला इंग्रजीत रेझोनंट असे संबोधतात. कोणाही व्यक्तीच्या स्वरयंत्रातील स्वरतंतू कंपित होऊन निर्माण होणारा आवाज अतिशय सूक्ष्म असतो, लहान असतो. तो कंठातून व मुखातून बाहेर पडताना मोठा होऊन बाहेर पडतो. म्हणूनच तो इतरांना ऐकू येतो. त्याचे मुख्य कारण म्हणजे कंठपोकळ्या व चेहऱ्यावरील विविध पोकळ्यात तो नाद सहकंपित झाल्यानेच. यासाठी आपण तंबोऱ्याचे उदाहरण पाहू. तंबोऱ्याला जशा तारा असतात तसा एक भोपळाही असतो. तारांतून नाद निघतो पण भोपळ्याच्या पोकळीमुळे तो सहकंपित व निन्नादी होतो आणि त्यामुळेच मोठेपणाने ऐकू येतो. परमेश्वर इतका कृपावंत आहे, की त्याने मानवाला जन्माला घालताना त्याच्या वाणीतून उमटणारा नाद योग्यरीत्या सहकंपित होऊन निन्नादी व्हावा म्हणून १ किंवा २ नव्हे तर आवाजाच्या सहकंपनासाठी तो नादमय झंकारमय होण्यासाठी एकूण १५ पोकळ्या दिल्या आहेत. त्या म्हणजे ३ कंठपोकळ्या, चेहऱ्यावरील सायनेसच्या ८ पोकळ्या, नाकाच्या २ पोकळ्या, १ मुखपोकळी व १ श्वासनलिकेची पोकळी. शास्त्रशुद्ध ॐ नादचतन्य उच्चारणाचे ठळक महत्त्व असे की, त्याच्या उच्चारणात वर नमूद केलेल्या सर्व १५च्या १५ पोकळ्या एकाच वेळी स्पंदित होतात, सहकंपित होतात. त्यामुळेच ओम् नाद हा झंकार असलेला म्हणजेच निन्नादी असतो व तसा तो असला पाहिजे. आता ॐ उच्चारणात त्यात अंतर्भूत असलेल्या अकार (अ), उकार (उ), म्कार (म) व िबदू या साडेतीन मात्रांपकी प्रत्येक मात्रेच्या उच्चारणात सर्व पोकळ्या एकाच वेळी कशा सहकंपित होतात, त्याची स्पंदने कुठे कुठे लागतात व ती कशी तपासायची हे आपण समजून घेऊ. प्रथम अ चा उच्चार ब्रह्मकंठातून म्हणजे खालच्या कंठातून करावा. त्याची स्पंदने छातीच्या उजव्या व वरच्या भागात व मानेच्या पुढील भागावर लागली पाहिजेत. त्यानंतर उकाराचे उच्चारण करावे. त्याची स्पंदने दोन्ही गालांवर व ओठावर लागतात. तद्नंतर ओठ मिटून म्कार गुंजन सुरू करावे. त्याची स्पंदने चेहऱ्याच्या दोन्ही म्हणजे उजव्या व डाव्या भागावर, कपाळावर व माथ्यावर लागली पाहिजेत. आपल्या पंजाच्या बोटांनी ही सर्व स्पंदने तपासावीत. अशा प्रकारे स्पंदने लागली तर उच्चार नादमय, झंकारयुक्त म्हणजे निन्नादी ह्य़ा गुणांनीयुक्त झाला आहे असे समजण्यास हरकत नाही. अशी स्पंदने ॐकाराचा उच्चार कंठस्थ नाभीस्थ परावाणीतून व श्वासपटलाधारित श्वसनाने झाला तरच अनुभवास येतात. ज्यांना अशी स्पंदने लागणार नाहीत त्यांनी उदास होऊ नये शास्त्रशुद्ध साधना अंगीकारून व ती नित्यनेमाने करून त्यांना या स्पंदनाचा अनुभव निश्चित मिळेल व तसा मिळतोही. विश्वोत्पत्तीचे मूळ, नादचतन्य ओम् म्हणजेच ओम्कार आहे, तोच जिवात्मा व परमात्मास्वरूप आहे. ब्रह्म व परब्रह्मस्वरूप आहे, असे भारतीय तत्त्वज्ञान सांगते. मग प्रश्न पडतो की, ओम् नादचतन्य हेच विश्वनिर्मितीचे मूळ का? दुसरा कोणता शब्द का नाही? त्याचे मुख्य वैज्ञानिक कारण असे की, ओम् उच्चारणात जीभ अजिबात हलत नाही. अकार, उकार, मकार मिळून ओम् हा वर्ण तयार होतो. ते मूळ स्वरव्यंजनाचे प्रतीक आहे. त्यांच्या उच्चारणात व्याकरणातील विभक्ती प्रत्यय शब्दयोगी अव्यय हे काही लागत नाही. यामुळे ओम् हे विश्वातील एकमेव जिभेचा अडथळा नसलेले सर्वार्थाने परमशुद्ध नादचतन्य आहे. बाकी सर्व कोणत्याही भाषेतील सर्व वर्णोच्चार हे जिभेच्या हालचालीने किंवा जिभेचा अडथळा निर्माण होऊनच साकारतात. ओम्काराचा परमशुद्ध उच्चार केला म्हणजेच खुल्या कंठातून व नाभीस्थित परावाणीतून, तर जिभेची हालचाल व अडथळा अजिबात होत नाही व तशी ती होताही कामा नये. ओ नंतर होणाऱ्या मकार उच्चारणात ओठांचा आतला भाग एकमेकांच्या जवळ येऊन मिटतो. त्यामुळे ओम् नादचतन्याची स्पंदने साधक व्यक्तीच्या मुखातून बाहेर न पडता उलटय़ा दिशेने देहमनाअंतर्गतच्या सूक्ष्म पेशीपेशींपर्यंत पोहोचतात आणि आवाज, वाणी, देह, मन व आत्मशुद्धीची प्रक्रिया खऱ्या अर्थाने साकारतात. सारांश- ओम् नामोच्चार हा साधक व्यक्तीच्या बाह्य़नादाकडून अंतर्नादाकडचा प्रवास आहे, जो त्याचा त्यालाच करायचा आहे. त्याच्या आवाज व वाणीतून उमटलेल्या, स्वसंवेद्य (स्वत:ने स्वत:ला जाणण्यास योग्य) आत्मस्वरूप नादचतन्य ओम्काराच्या शास्त्रशुद्ध उच्चार साधनेतून आणि त्याचा त्यालाच आवाज, वाणी, देह, मन आणि आत्मशुद्धीचा अनुभव व प्रत्यय घ्यायचा आहे. पुढील लेखात नादचतन्याचे उगमस्थान असलेल्या चत्वारवाणीविषयी माहिती घेऊ. जसे कोणतेही झाडाचे पान शिरांनी व्याप्त असते त्याप्रमाणे प्रत्येक व्यक्तीचा संपूर्ण देह चत्वारवाणीच्या स्थूल अथवा सूक्ष्म रूपाने व्याप्त असतो. पूज्य ज्ञानराज माऊलींनी ॐ या परमशुद्ध नादचतन्याला चत्वारवाणीचे मंदिर संबोधले आहे, कारण त्याच्या नित्य शास्त्रशुद्ध साधनेने साधक व्यक्तीच्या चत्वारवाणी व त्यातून स्फुरणारी नादचतन्याची घोष, ध्वनी, नाद व शब्द ही चारही रूपे खऱ्या अर्थाने फुलतात, बहरतात. ॐकार म्हणजे वाणीचे मूलतत्त्व आहे. वाणीचे संपूर्ण वैभव म्हणजे ॐकाराचाच विलास आहे, कारण वाणी म्हणजे केवळ जिव्हा व्यापार नसून अंतरात्म्याचा आवाज आहे आणि प्रत्येक व्यक्तीच्या व्यक्तिमत्त्वाचेही प्रमुख अंग आहे. तेव्हा प्रत्येक व्यक्तीने आपले व्यक्तिमत्त्व खुलवण्यासाठी नित्यनेमाने ॐकार साधना करून चत्वारवाणीचे शुद्ध स्वरूप अंगी बाणायला नको का? चत्वारवाणीतून ॐ फुलवा. व्यक्तिमत्त्व व आरोग्य आपणच खुलवा. भारतीय तत्त्वज्ञानात जसा चत्वारवाणीचा विचार केला आहे तसा इतर कोठेही नाही. तद्वतच नादचतन्याच्या सूक्ष्मसूक्ष्मतमतेचाही अतिशय खोलवर विचार केलेला दिसतो. तो विचार म्हणजेच भारतीय तत्त्वज्ञानातील षट्चक्र संकल्पना. ही षट्चक्रे मानवी देहाच्या मध्यरेषेवर सूक्ष्मसूक्ष्मतम रूपात वास करतात. ही चक्रे म्हणजे जणू कमळेच. त्या प्रत्येक चक्राला विशिष्ट पाकळ्या आहेत. त्या प्रत्येक चक्राला विशिष्ट रंग आहे. प्रत्येक चक्राची देवता वेगळी आहे, पण माझ्या दृष्टिकोनातून वर नमूद केलेल्या सर्व गोष्टींपेक्षासुद्धा ही सर्व षट्चक्रे सूक्ष्मसूक्ष्मतम नादचतन्याची मोहोळे आहेत, पोळीच आहेत हे महत्त्वाचे आहे. या षट्चक्रांचा ओम् या विश्वाचे मूळ असलेल्या आत्मस्वरूप नादचतन्याशी जवळचा म्हणजेच घनिष्ठ संबंध आहे. तो कसा ते आपण वैज्ञानिकदृष्टय़ा बघू. मग विज्ञाननिष्ठ असलेल्या तरुणाईलाही त्या षट्चक्ररूप नादचतन्याचे महत्त्व उमगेल. हे प्रत्येक चक्र देहाच्या वेगवेगळ्या जागी स्थित आहे व अंकाच्या दृष्टीने त्याला वेगवेगळ्या पाकळ्या आहेत. खालील माहितीवरून ते आपल्या ध्यानात येईल. वर नमूद केलेली चक्रे दिसायला जरी सात दिसत असली तरी त्यांना षट्चक्रे म्हणतात. कारण आज्ञा व सहस्रदल ही दोन्ही चक्रे अनुक्रमे कपाळ आणि माथा मध्यस्थित आहेत आणि दोन्हींचाही संबंध मेंदूकार्याशी निगडित आहे. 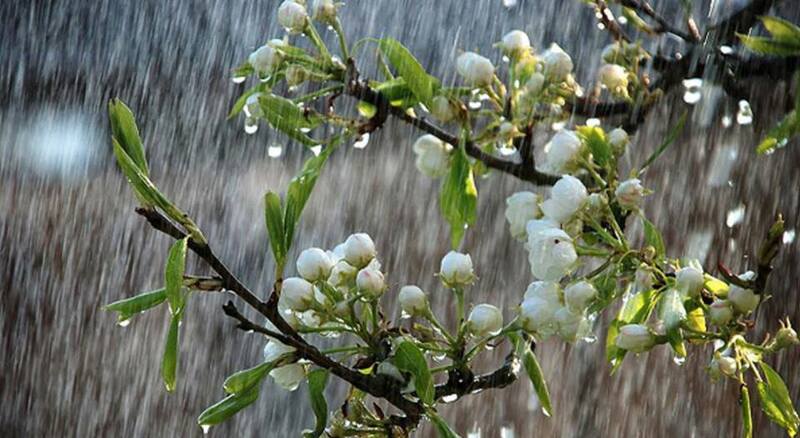 त्यामुळेच त्यांचा ‘आज्ञा सहस्रदल’ असा एकत्रित उल्लेख केला जातो. ही षट्चक्रे नादचतन्याची मोहोळे असल्याचे कारण म्हणजे त्या प्रत्येक चक्रावर विधात्याने एकेका बीजाक्षराचे म्हणजेच एकाक्षरी बीजमंत्राचे रोपण केले आहे. आजच्या या दुसऱ्या भागात आपण नादचतन्यरूप षट्चक्रांचा आणि मूळ नादचतन्य ॐकाराचा संबंध कसा आहे, हे समजून घेणार आहोत. विधात्याने षट्चक्रांच्या प्रत्येक पाकळीवर एकेका एकाक्षरी बीजमंत्राचे रोपण केले आहे. बीजाक्षर म्हणजे व्यंजन + ॐकारातील पहिली मात्रा अकार व ॐकाराची शेवटची मात्रा म्कार. व्यंजनाचे बीजाक्षरात रूपांतर कसे होते हे जाणून घेण्यासाठी आपण दोन्ही भुवयांमध्ये असलेल्या आज्ञाचक्राचे उदाहरण पाहू या. आज्ञाचक्राची जागा म्हणजे महादेवाचा तिसरा नेत्र असे संबोधतात. (स्त्रिया कुंकू लावतात ती जागा) या चक्राला दोन पाकळ्या आहेत. त्या प्रत्येक पाकळीवर एकेक बीजाक्षर स्थित आहे. ती बीजाक्षरे म्हणजे अनुक्रमे हंम् आणि क्षंम् होत. याच पद्धतीने संस्कृत व्याकरणातील विविध व्यंजनांपासून निर्माण झालेली बीजाक्षरे उरलेल्या विविध चक्रांच्या पाकळ्यांवर सूक्ष्म सूक्ष्मतम रूपात वास करतात. त्या त्या नादचतन्यरूप बीजाक्षराचा उच्चार केल्यावर ती ती संबंधित चक्राची पाकळी स्पंदित होते. त्या चक्रावरील सर्व बीजाक्षरांचे म्हणजेच बीजमंत्रांचे उच्चारण केल्यावर त्या संबंधित चक्रावरील सर्व पाकळ्या एकदम स्पंदित होतात आणि ते चक्र पुलकित होते, उद्दीपित होते. व्यंजनाचे बीजाक्षर होण्यात जशी ॐकारातील पहिली मात्रा अकार व शेवटची मात्रा म्कार याचा दृढ संबंध आहे. तद्वतच सर्व चक्रांचा व ॐकाराचा आणखी एका कारणाने घनिष्ठ संबंध आहे, तो असा. ॐकाराच्या साडेतीन मात्रा आहेत-अकार, उकार, मकार यांची प्रत्येकी एकेक मात्रा मिळून तीन मात्रा +िबदूमात्रा अर्धमात्रा. ॐकारातील या साडेतीन मात्रांची षट्चक्रांवरील प्रतिष्ठापना खाली नमूद केलेल्या तक्त्यांप्रमाणे आहे. आता विशिष्ट चक्रावर ॐकाराची विशिष्ठ मात्राच स्थित का? याचे प्रमुख कारण म्हणजे अ उ म् व िबदू यांचे वेगवेगळे उच्चारण होताना त्या त्या चक्राच्या जागेवर साधकाला श्वासताणाची जाणीव होणे महत्त्वाचे आहे तरच त्या बीजाक्षराचा उच्चार शास्त्रशुद्ध झाला असे होईल, अन्यथा नाही. थोडक्यात, भारतीय तत्त्वज्ञानातील नादचतन्यरूप षट्चक्रांची संकल्पना ही संपूर्णपणे ॐकाराधिष्ठितच आहे. मूळ परमशुद्ध आत्मस्वरूप नादचतन्य ॐ सर्व षट्चक्रे व्यापून आहे. म्हणूनच एका ॐ च्या शास्त्रशुद्ध उच्चारणात सर्व चक्रांच्या सर्व पाकळ्या एकाच वेळी पुलकित होतात, स्पंदित होतात व कार्यक्षम होतात, तेथील सूक्ष्म सूक्ष्मतम नादचतन्य शुद्ध होऊ लागते व त्यामुळेच नादचतन्यस्वरूप षट्चक्रांची शुद्धीकरण प्रक्रिया सुरू होते. भारतीय तत्त्वज्ञानातील नादचतन्यस्वरूप षट्चक्र संकल्पना आध्यात्मिक असली तरी ती विज्ञानाधिष्ठितपण आहे. अ‍ॅलोपॅथी म्हणजे आधुनिक वैद्यकशास्त्र, हे खूप प्रगत आहे, डोळस आहे. एक चांगली गोष्ट म्हणजे आधुनिक तंत्रज्ञानाने विकसित केलेल्या ऑरा फोटोग्राफीच्या माध्यमातून नादचतन्याची मोहोळे असलेली ही सूक्ष्म सूक्ष्मतम षट्चक्रे आता डोळ्यांनाही दिसू शकतात. त्यामुळेच आधुनिक वैद्यकशास्त्रातील शास्त्रज्ञसुद्धा आता त्या सूक्ष्म सूक्ष्मतम षट्चक्रांच्या मानवी देहातील अस्तित्वाला व त्यांच्यातील समतौलिक कार्य आणि आरोग्याच्या संबंधाला जाणू लागले आहेत व मानूही लागले आहेत ही निश्चित आनंदाची गोष्ट आहे. प्रत्येक व्यक्तीने आपली पंचनादजीवनशैली म्हणजे आहार, विहार, आचार, विचार व मुख्यत्वे उच्चार ही परमशुद्ध व सात्त्विक ठेवली तर त्याला शक्यतो आजार होणारच नाहीत. पाचवी जीवनशैली उच्चार तोही शास्त्रशुद्ध, परमशुद्ध, सात्त्विक आणि सत्य, आत्म नादचतन्यस्वरूप ओम् नादाचा उच्चार व त्याची नित्यनेमे साधना उरलेल्या चारही जीवनशैलींना विनासायास, सात्त्विक व परमशुद्ध करू लागते व साधक व्यक्तीची रोगाविरुद्ध लढण्याची देहमनाची प्रतिकारशक्ती वृिद्धगत होऊ लागते. ॐ कार उच्चारणाचा त्रिकंठाशी घनिष्ठ संबंध आहे, म्हणून या लेखात त्रिकंठाची माहिती घेऊ या. कंठ ज्याला घसा असेही संबोधले जाते, तो मानवी देहातील महत्त्वाचा भाग आहे. वैद्यकीय परिभाषेत या कंठाला Pharynx अशी संज्ञा आहे. मानवी कंठ तीन भागांत विभागलेला असतो. वैद्यकीय परिभाषेत त्यांना अनुक्रमे Laryngopharynx (स्वरयंत्रा पाठीमागची घशाची पोकळी किंवा ब्रह्मकंठ), Oropharynx (जिभेमागची घशाची पोकळी किंवा विष्णुकंठ) व तिसरा Nasopharynx (नाक मृदू टाळूमागची घशाची पोकळी म्हणजेच शिवकंठ) मानवी जीवनात त्रिकंठाचे महत्त्व यासाठी की, कोणाही व्यक्तीच्या जीवनातील तीन काय्रे कंठामार्फतच होतात. प्रत्येक व्यक्तीची २४ तास चालणारी श्वासोच्छवास क्रिया कंठातूनच होते. अन्न गिळण्याची क्रियाही कंठातूनच होते आणि व्यक्ती कंठातूनच बोलते. 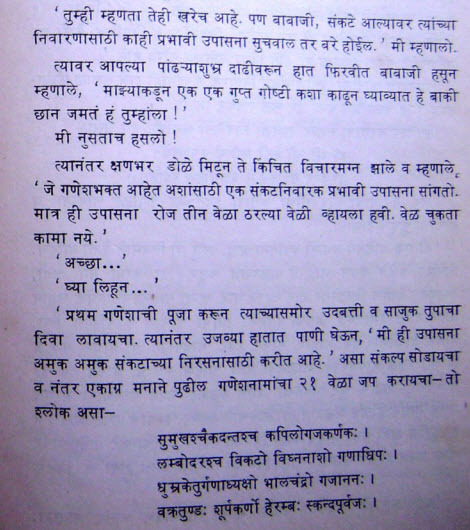 तेव्हा श्वास घेणे, अन्न गिळणे व बोलणे या जीवनातील तीन महत्त्वाच्या क्रियांचे प्रवेशद्वार त्रिकंठच आहे. श्वास घेताना शिवकंठ व विष्णुकंठ उपयोगात आणला जातो. अन्नग्रहण करताना विष्णुकंठ व ब्रह्मकंठ उपयोगात आणला जातो. तर बोलण्याच्या क्रियेत तीनही कंठ उपयोगात आणले जातात. भारतात आपण साडेतीन मुहूर्त मानतो. साडेतीन देवीची शक्तिपीठे आहेत. संगीताची सप्तकं साडेतीन आहेत. साडेतीन हाताचा मानवी देह आहे. त्या मानवी देहात नांदणारी आध्यात्मिक कुंडलिनी शक्ती जिला ओम्काराची जन्मभूमी म्हणून संबोधले आहे, ती तेजाची शिदोरी आहे. ती सíपणीसारखी साडेतीन वेटोळे घालून मुलाधार चक्रावर सुप्तावस्थेत आहे तर जागृत झाल्यावर नाभीस्थित मणिपूर चक्रापाशी तिचे उत्थापन होते. ‘ओमकार साधना नित्यनेमे २० मिनिटे करा नीट, चोवीस तास राहा फिट.’ कशी करायची ही साधना ते यापुढील अंकातून पाहाणार आहोत. कोणाही व्यक्तीच्या आरोग्याचा जेव्हा आपण विचार करतो तेव्हा आधुनिक वैद्यकशास्त्रात कोणताही रोग नसणे म्हणजे आरोग्य असे म्हटले गेले आहे. ही व्याख्या नकारात्मक आहे, पण जागतिक आरोग्य संघटना सांगते, आरोग्य म्हणजे शरीराचे आरोग्य, मनाचे आरोग्य, आत्म आरोग्य व सामाजिक आरोग्य या चारींचे स्वास्थ्य म्हणजे खरे आरोग्य. ही व्याख्या परिपूर्ण व सकारात्मक आहे. त्यात सर्वागीण आरोग्याचा विचार केलेला जाणवतो. थोडक्यात, आरोग्य म्हणजे देह-मन-आत्मस्वास्थ्य आणि समाजस्वास्थ्य होय. आधुनिक वैद्यकशास्त्रात कोणी व्यक्ती आजारी पडली किंवा तिला कोणताही रोग झाला तर त्याला सामान्यपणे दोन शब्द वापरले जातात -१ डिसीझ (Disease) २. डिसऑर्डर (Disorder). याचाच अर्थ देहमनाची सहजता व लयबद्धता (तालबद्ध वेग) जाणे म्हणजे आजारी पडणे. सारांश – देह, मन, आत्मा, समाज यांची स्वस्थता म्हणजे आरोग्य आणि या सर्वाच्या कार्यातील सहजता व लयबद्धता म्हणजे आरोग्य. आपण जेव्हा ओम् नादचतन्य म्हणजे ओम्कार या विश्वनिर्मितीचे मूळ असलेल्या नादाच्या सहजतेचा व लयबद्धतेचा विचार करतो तेव्हा तो नाद, या विश्वातील परमशुद्ध सहज नाद आहे आणि परमशुद्ध लयबद्ध नाद आहे, कारण त्याची लय विश्वलयीशी मिळतीजुळती आहे. म्हणूनच भारतीय तत्त्वज्ञानात साडेतीन मात्रांच्या लयीला अतिशय महत्त्व आहे. ते कसे हे या लेखमालेतून आपण दर शनिवारी पाहणार आहोत. मागील लेखांमध्ये आपण पाचवी जीवनशैली उच्चार व त्याचे आरोग्याच्या दृष्टीने असणारे महत्त्व जाणून घेतले. कोणताही उच्चार चत्वारवाणीतून स्फुरतो व आवाजाच्या रूपातून बाहेर पडणाऱ्या नाद शब्दातून व्यक्त होतो. आधुनिक वैद्यकशास्त्रातील आवाजाची व्याख्या फार बहारीने व मोजक्या शब्दात बरेच काही सांगणारी अशी आहे. ती अशी ‘आवाज म्हणजे मनाची आज्ञा व श्वासाची कृती.’ म्हणूनच चांगला आवाज म्हणजे चांगल्या मनाची आज्ञा व उत्तम श्वासाची कृती तर वाईट आवाज म्हणजे वाईट मनाची आज्ञा व निकृष्ट श्वासाची कृती. तेव्हा कोणाही व्यक्तीचा त्या वेळचा आवाज व वाणी व्यक्तीच्या त्या वेळच्या मनाच्या व श्वासाच्या स्थितीचे द्योतक असते. त्यामुळे उदास, नकारात्मक विचार आलेली व्यक्ती किंवा कोणत्याही आजाराने ग्रस्त व्यक्ती फोनवर बोलू लागली की, ऐकणारी व्यक्ती सहज म्हणते की, काय हो आपला आवाज असा का येतोय, बरं नाही का? ओमकारातील अकार, उकार व मकार या मात्रा अनुक्रमे देह, मन व जीवात्म्याची प्रतीके आहेत. त्यामुळेच ओमकार हे देह, मन आणि आत्मस्वास्थ्य खुलवणारे विश्वातील सर्वोत्तम नादचतन्य आहे, सर्वोत्तम आवाज वाणीचे प्रतीक आहे. ओमकाराच्या नित्य शास्त्रशुद्ध साधनेने मन सकारात्मक, प्रसन्न व वृत्ती समाधानी होऊ लागते, चिंता, काळजी, भीती सहज नाश पावू लागतात व साधकाला एक नवी चेतना, नवा उत्साह, नवा आनंद प्राप्त होऊ लागतो, आत्मविश्वास वृिद्धगत होऊ लागतो व श्वासोच्छ्श्वास क्रिया परिपूर्ण होऊ लागते. श्वास आणि मन हीच कोणाही व्यक्तीच्या आरोग्याच्या दृष्टिकोनातून महत्त्वाची अंगे आहेत ती दोन्हीही ओमकार साधकाच्या ताब्यात राहू लागतात. एरवी श्वास व मनच अशुद्ध व अलयबद्ध होऊन व्यक्तीला रोगग्रस्त करीत असतात. शास्त्रशुद्ध ओमकार साधनेतून निर्माण होणाऱ्या श्वासशुद्धी व मन:शुद्धीतून साधक व्यक्तीची निरामय आरोग्याकडे वाटचाल सुरू होऊ लागते. भारतीय संस्कृतीत प्रत्येक कर्मारंभी ओम् नामोच्चार करण्याची प्रथा आहे ती यामुळेच ! ओम् आधी – टळतील व्याधी – विरतील व्याधी. ॐकार या नादचतन्याची दोन रूपे आहेत. सगुण आणि निर्गुण रूप. सगुण रूप म्हणजे गुण दर्शविणारे, दृष्टिस्वरूपात दिसणारे तर निर्गुण रूप म्हणजे कोणतेही गुण नसलेले असे रूप. म्हणून सगुणाला साकार रूप म्हटले आहे तर निर्गुणाला निराकार रूप संबोधले आहे. ॐच्या उच्चारणात ओम् हा वाचिक उच्चार सगुण रूप आहे तर मकारानंतर अतिसूक्ष्म होत गेलेला नाद, संपूर्ण लय पावून शून्यतम, शांत होतो, ती निर्गुण-निराकार अवस्था होय. ॐकार ही भक्ती आहे, भक्तियोग आहे. ॐकार ही भक्ती असली तरी भक्तिमार्गातून, सात्त्विक कर्माच्या माध्यमातून मुक्तीकडे नेणारी वाटचाल आहे म्हणूनच ॐकार उच्चारणात सगुण व निर्गुण नादचतन्याचे अपूर्व मिलन आहे. तेव्हा ॐकार साधनेत जसा सगुण व निर्गुण साधनेचा संगम होतो तसेच भक्तियोग, कर्मयोग आणि ज्ञानयोग या तीनही योगांचे अपूर्व मिलन होते. कारण – ॐनादचतन्य साधना सगुणाकडून निर्गुणाकडे नेणारी वाटचाल आहे, शब्दाकडून नि:शब्दाकडे नेणारा हा सहज प्रवास आहे, स्थूलतेकडून सूक्ष्मतेकडे व व्यक्त नादचतन्यातून अव्यक्त नादचतन्याकडे सहज जाणारा व आपल्या परमशुद्ध स्वत्वाचा अनुभव देणारा प्रवास आहे. ॐ नादचतन्य ही खरे तर शक्ती आहे, शांती आहे, भक्ती आहे, मुक्ती आहे. परंतु ही नादचतन्य साधना करता करता साधक व्यक्ती शक्ती व शांती कशी प्राप्त करतो हे त्याचे त्यालाच कळत नाही. ॐनादचतन्य भक्ती करता करता तो ऐहिक जीवनातील रोगमुक्तीची वाटचाल व पारमार्थिक जीवनातील खऱ्या मुक्तीसाठीची वाटचाल कशी करू लागतो हे त्याचे त्याला उमगत नाही पण अनुभवास मात्र येते. ॐ नादचतन्य साधना ही साधकाला नरत्वाकडून नारायणत्वाकडे नेणारी उपासना आहे. त्यामुळेच ॐ नादचतन्य साधनेत संसार व परमार्थ याचा अपूर्व संगम झाला आहे. ॐनादोच्चारात ज्ञानविज्ञान दोन्ही एकवटले आहेत. ॐनादोच्चार साधना, पुरुष, महिला, लहान मुले, वृद्ध व्यक्ती या सर्वासाठी निरामय आरोग्यदायी आहे. कारण, शास्त्रशुद्ध ॐ नादचतन्य साधनेमुळे, मानवी पंचमहाभौतिक देहातील परमशुद्ध अग्नी व वायूचे बल वाढते व देहातील दूषित पृथ्वी व जलतत्त्व बाहेर टाकले जाते. त्यामुळे देहातील रोमारोमाचे आकाश खुलते. ॐकारातील तेजाचा व वायूचा विचार करता ॐकारातील तेज चंद्रासारखे शीतल आहे, पण त्यावर काळा डाग नाही. सूर्यासारखा हिरण्यगर्भस्वरूप आहे, पण दुपारच्या १२ च्या उन्हासारखे तापदायक नाही. ॐ वर्णात महतोमहिमान ओ च्या स्वरूपात व सूक्ष्मातिसूक्ष्म म् च्या स्वरूपात वायुरूप एकवटले आहे. निरोगी व्यक्तींनी ही ॐ नादचतन्य साधना नित्यनेमे केल्यास त्यांना शक्यतो रोगाचा प्रादुर्भाव होत नाही व काही कारणाने रोग झाला तर त्याविरुद्ध लढण्याचे सकारात्मक वृत्तीचे बळ वाढते. रोगी व्यक्तींना ही साधना स्थिरतात्मक, लक्षणात्मक व पुनर्वसनात्मक उपचार म्हणून उपयुक्त आहे. या साधनेला कोणत्याही जातिधर्माचे बंधन नाही, देशविदेशाचे बंधन नाही. कारण ही साधना परमशुद्ध विश्वात्मक नादचतन्य साधना आहे. ‘नादचतन्यातून आरोग्याकडे’ या लेखमालेतून मी ॐ नादचतन्य साधनेचा मानवी आरोग्याशी का व कसा संबंध आहे, नित्यनेमे केलेल्या ॐ नादचतन्य साधनेतून त्रिकंठशुद्धी, जिव्हाशुद्धी दश:प्राणशुद्धी, श्वासशुद्धी, मन:शुद्धी, आत्मस्वरूप चत्वारवाणी शुद्धी, षट्चक्रशुद्धी, जीवनातील सहजता व लयबद्धता शुद्धी, बाहय़नाद व अंतर्नादशुद्धी या सर्व देह, मन, आवाज, वाणीच्या शुद्धीकरणाच्या प्रक्रिया कशा सहजपणे व लयबद्ध होतात व त्यातून साधक व्यक्तीची आनंददायी, निरामय आरोग्याकडची वाटचाल कशी सुरू होते याचाच वैज्ञानिक दृष्टिकोनातून थोडक्यात परामर्श घेतला आहे. नादचतन्य हा मानवी जीवनाचा अविभाज्य भाग असल्याने त्याची साधना ही एक जीवनशैलीचा भाग म्हणून प्रत्येक व्यक्तीने अंगीकारावी, हाच या लेखमालेचा उद्देश होता. 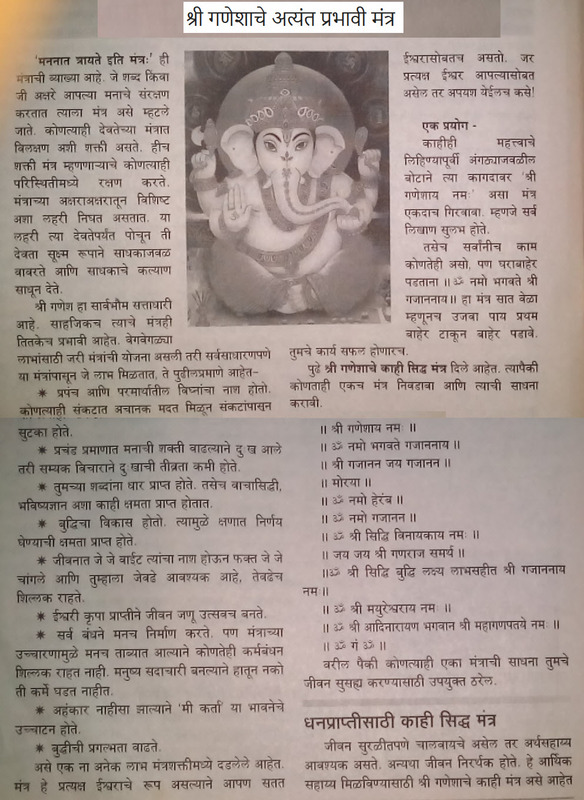 सारांश – ॐनादचतन्य शक्ती – निश्चित आरोग्यप्राप्ती कारण खुले आकाश – प्रकृती झकास. कोणतीही आवाजनिर्मिती ही श्वास रोखण्याची क्रिया आहे. म्हणूनच ओंकार उच्चार ही पण श्वास रोखण्याचीच क्रिया आहे. आवाज निर्मितीच्या वेळी मानेच्या पुढील भागात असलेल्या स्वरयंत्रातील दोन स्वरतंतू एकमेकांच्या जवळ येतात व त्यांच्यामधील जागा ज्याला वैद्यकीय परिभाषेत ग्लॉटिस असे संबोधतात ते बंद करतात. मात्र नसर्गिक श्वासोच्छ्वास क्रियेच्या वेळी दोन स्वरतंतूमधील जागा, म्हणजेच ग्लॉटिस उघडे असते. सामान्य जनमानसात, आवाज निर्मिती ही उच्छ्वासाची क्रिया आहे, हा गोड गरसमज आहे. आवाजनिर्मिती ही उच्छ्वासाची क्रिया नाही, तर कुंभक क्रियेत म्हणजेच श्वास रोखण्याच्या क्रियेत होणारी दाबयुक्त उच्छ्वासाची क्रिया आहे. फुग्यातून जशी हवा सुटते तसा आवाज निर्मितीत श्वास सुटत नाही तर वाफेच्या दाबावर चालणाऱ्या यंत्रात, वाफशक्तीचे रूपांतर जसे इंजिन शक्तीत होते तसे श्वासदाबाचे रूपांतर आवाजशक्तीत होते. ही गोष्ट प्रत्येक ओंकार साधकाने लक्षात ठेवणे अतिशय जरुरीचे आहे. म्हणूनच उच्छ्वासाच्या वेळेस श्वासाचा आवाज करण्याच्या कोणत्याही क्रिया ओंकार साधकास संपूर्णपणे वज्र्य आहेत आणि घातक आहेत. या क्रिया म्हणजे उदा. पुटपुटत बोलणे, नको असलेली कामे केल्यानंतर हुश्श हश्श असे उच्छ्वासाचे आवाज काढणे, शिट्टी वाजवणे. प्राणायाम करताना उच्छ्वासाचा आवाज किंवा शिट्टी वाजवल्यासारखा आवाज करत श्वास सोडणे. हवा फुंकून नाद व संगीत निर्माण करणारी वाद्य्ो वाजवणे उदा. सनई, बासरी, क्लोरोनेट व या सम इतर. सगळ्यात महत्त्वाची गोष्ट म्हणजे योगातील कपालभाती क्रिया. कारण कपालभाती क्रियेत जलदगतीने श्वासोच्छ्वास क्रिया केली जाते व उच्छ्वासाच्या वेळेस श्वासाचा आवाज करत जलद गतीने देहाबाहेर टाकला जातो. हे कंठाला अतिशय घातक आहे. कारण या क्रियेत कंठ खुले करणारे स्नायू आकुंचन न पावता कंठ बंद करणाऱ्या स्नायूंची क्रिया जास्त होते. दहा दहा वष्रे नित्यनेमे कपालभाती केलेल्या अनेक साधक व्यक्तींचे आवाज पूर्णपणे गेलेले मी पाहिले आहेत. त्यामुळे कपालभाती आवाज खाती असे माझे ठाम मत आहे. ज्यांना ज्यांना नादचतन्य स्वरूप ओंकार साधनेतून आरोग्याकडची वाटचाल करायची आहे, त्यांचा कंठ सदैव खुला असणे ही ओंकारातून अपेक्षित सुयोग्य स्पंदने मिळण्याच्या दृष्टिकोनातून अतिशय जरुरीची आणि महत्त्वाची गोष्ट आहे. कपालभाती किंवा इतर सर्व उच्छ्वासाच्या वेळेस आवाज करण्याच्या क्रियांमधून साधकास इतर काय फायदे होतात हे त्यांचे त्यांनाच माहीत. पण उच्छ्वासाच्या वेळेस श्वासाचा आवाज होणारी कोणतीही क्रिया ही कंठ बंद करणारी क्रिया असल्याने ओंकार साधकास ती घातक आहे. कारण नादचतन्य ओंकार उच्चारणातून निर्माण होणारी परमशुद्ध स्पंदने त्याला प्राप्त होणार नाहीत. आवाजनिर्मिती नाही श्वास सोड क्रिया, आवाजनिर्मिती ही तर श्वास पकड क्रिया. मागील लेखात आपण चत्वारवाणी, व्यक्तिमत्त्व, आरोग्य व ॐकाराबद्दल जाणून घेतले. या लेखात मानवी देहात नांदणाऱ्या दश:प्राणशक्ती म्हणजे काय व ॐकार साधनेतून त्यांचे शुद्धीकरण व बलीकरण प्रक्रिया कशी होते, हे जाणून घेऊ. मानवी देहात नांदणाऱ्या दश:प्राणशक्तींची संकल्पना फक्त भारतीय तत्त्वज्ञानातच आहे, इतर कोठेही नाही. सामान्यत: लोक प्राण व श्वास एकच समजतात पण ते तसे नाही. देहात प्रवेश केलेल्या वायूचे प्राणशक्तीत रूपांतर करते ते नादचतन्य. तेव्हा असे म्हणता येईल- नादचतन्याचे सान्निध्य लाभलेला श्वास म्हणजे प्राणशक्ती. भारतीय तत्त्वज्ञान सांगते, घेतलेल्या श्वासाचे दश:प्राणशक्तीत रूपांतर होते ते ओटीपोटाच्या मध्यभागात स्थित असलेल्या स्वाधिष्ठान चक्रात व नंतर त्या त्या प्राणशक्तीला विशिष्ट देहाच्या स्थानी पोहचवले जाते. या पंचप्राणांपकी सर्व शरीरभर पसरलेली प्राणशक्ती म्हणजे व्यान. व्यान ही प्राणशक्ती अपान व प्राणाची संधी आहे. कोणत्याही आवाजनिर्मितीत सर्व देहात पसरलेल्या व्यान प्राणबलाला अतिशय महत्त्व आहे. देहातील व्यान प्राणशक्ती उरलेल्या नऊ प्राणशक्तींना गतिमान करते, त्यांचे बल वाढवते. मूल जन्माला येताना अति उंच स्वरात मोठय़ाने रडते आणि व्यान प्राणशक्तीच्या वृद्धिंगतेतून उरलेल्या नऊ प्राणशक्तींना गतिमानता देते. शास्त्रशुद्ध ॐकार उच्चारणातून निर्माण होणाऱ्या व्यान प्राणशक्ती बलाला अतिशय महत्त्व आहे. कारण त्या प्रभूत्वातूनच अष्टगुणी ॐकाराचे उच्चारण होते किंवा असे म्हणता येईल- शास्त्रशुद्ध ॐकार उच्चारणातून व्यान प्राणशक्तीची वृद्धी व शुद्धी होते. जोपर्यंत दश:प्राणशक्ती मानवी देहात बलशाली आहेत व त्यांचे एकमेकांचे कार्य हातात हात घालून सहयोगाने चालते आहे तोपर्यंत व्यक्ती निरामय आरोग्याचा लाभ घेते. कोणताही आजार म्हणजे दश:प्राणशक्तींची क्षीणता, अकार्यक्षमता व असहयोगीता होय. शास्त्रशुद्ध ॐकार साधनेतून दश:प्राणशक्ती पुलकित होतात, बहरतात म्हणजेच दश:प्राणशक्तींची वृद्धी होते, त्यांची कार्यक्षमता बहरते आणि त्यांच्या एकमेकांच्या कार्यातील सहयोगित्व वधारते. म्हणूनच साधक व्यक्तीची निरामय आरोग्याकडची वाटचाल सुकर होऊ लागते. प्रत्येक व्यक्ती २० तास शांत असते त्या वेळेस त्याने नाकानेच श्वास घेतला पाहिजे. पण दिवसभरात तीन ते चार तास व्यक्ती बोलते अथवा गाते. अथवा ज्यांचा आवाज वा वाणी हे व्यवसायाचे प्रमुख अंग आहे अशा व्यक्तींना सहा ते आठ तास बोलावे किंवा गावे लागते. एखादी व्यक्ती स्टेशनवर कुणाची वाट पाहात आहे व त्या वेळेस तोंड उघडून श्वास घेत आहे तर ते चुकीचे, अनसर्गिक व हानिकारक आहे. तसेच एखादी व्यक्ती बोलता गाताना मात्र मुद्दाम तोंड बंद करून नाकाने श्वास घेत असेल तर तेही चुकीचेच व अनसर्गिक आहे. नाकाने श्वास घेणे व तोंडाने श्वास घेणे यातील चांगले वाईट गुण दोन ओळीत सांगतो. * नाकाने श्वास- गाळून श्वास, गरम श्वास पण कमी श्वास. * तोंडाने श्वास- पटकन श्वास व भरपूर श्वास. व्यक्ती जेव्हा चत्वारवाणीतून बोलण्या-गाण्याच्या रूपात कोणताही आवाज निर्माण करते तेव्हा त्या व्यक्तीने तोंडाने, कंठाने, पोटाने, सहज व लयबद्ध श्वास घेणे महत्त्वाचे आहे. कारण बोलता-गाताना पटकन व भरपूर श्वास घेणे जरुरीचे आहे. आपल्या लेखमालेत श्वासाबद्दल किंवा श्वासोच्छ्श्वास क्रियेबद्दल एवढा ऊहापोह करण्याचे कारण ॐकाराचा उच्चार जेव्हा साधक व्यक्ती चत्वारवाणीतून प्रगट करते त्या वेळेस परमशुद्ध नादचतन्यस्वरूप आवाजनिर्मिती होते. पण ओ नंतर म्कार गुंजन सुरू होते अन् ते सूक्ष्म करत संपवावे लागते. त्या वेळेस तो उच्चार करणाऱ्या साधक व्यक्तीने उच्चार संपल्यावर श्वास घेताना अलगद ओठ विलग करून अल्पतोंड उघडून सहज लयबद्ध श्वास घेणे महत्त्वाचे आहे. पण ती साधक व्यक्ती जर मानस ॐकार नादचतन्य जप करत असेल तर त्या वेळी मात्र साधक व्यक्तीने सहज लयबद्ध नाकानेच श्वास घ्यायचा आहे. सारांश- चत्वारवाणीतून उमटलेल्या ॐकार साधनेचे वेळी दोन ॐकारामधील श्वास तोंडाने, कंठाने, पोटाने (श्वासपटलाने) सहज, लयबद्ध, फुप्फुसाच्या मागच्या भागातून, खालच्या दिशेने घेणे महत्त्वाची गोष्ट आहे. तर ॐकाराच्या मानस जपसाधनेच्या वेळी नाकाने, कंठाने, पोटाने (श्वासपटलाने), सहज लयबद्ध, फुप्फुसाच्या मागच्या भागातून खालच्या दिशेने घेणे महत्त्वाचे आहे, हेच वैद्यकीयदृष्टय़ा शास्त्रशुद्ध व नसíगक आहे. पुढील लेखांकात ॐकार साधनेत श्वासपटलाधारित श्वसन क्रियेचे महत्त्व का व कसे आहे याविषयी..
कोणतीही आवाजनिर्मिती ही श्वास रोखण्याची क्रिया आहे. म्हणूनच ॐकार उच्चार ही पण श्वास रोखण्याचीच क्रिया आहे. आवाज निर्मितीच्या वेळी मानेच्या पुढील भागात असलेल्या स्वरयंत्रातील दोन स्वरतंतू एकमेकांच्या जवळ येतात व त्यांच्यामधील जागा ज्याला वैद्यकीय परिभाषेत ग्लॉटीस असे संबोधतात ते बंद करतात. मात्र नसर्गिक श्वासोच्छवास क्रियेच्या वेळी दोन स्वरतंतूंमधील जागा, म्हणजेच ग्लॉटीस उघडे असते. सामान्य जनमानसात, आवाज निर्मिती ही उच्छवासाची क्रिया आहे, हा गोड गरसमज आहे. आवाजनिर्मिती ही उच्छवासाची क्रिया नाही तर कुंभक क्रियेत म्हणजेच श्वास रोखण्याच्या क्रियेत होणारी दाबयुक्त उच्छवासाची क्रिया आहे. फुग्यातून जशी हवा सुटते तसा आवाजनिर्मितीत श्वास सुटत नाही तर वाफेच्या दाबावर चालणाऱ्या यंत्रात, वाफशक्तीचे रूपांतर जसे इंजिनशक्तीत होते तसे श्वासदाबाचे रूपांतर आवाजशक्तीत होते. ही गोष्ट प्रत्येक ॐकार साधकाने लक्षात ठेवणे अतिशय जरुरीचे आहे. म्हणूनच उच्छवासाच्या वेळेस श्वासाचा आवाज करण्याच्या कोणत्याही क्रिया ॐकार साधकास संपूर्णपणे वज्र्य आहेत आणि घातक आहेत. या क्रिया म्हणजे उदा. पुटपुटत बोलणे, नको असलेली कामे केल्यानंतर हुश्श हश्श असे उच्छवासाचे आवाज काढणे, शिट्टी वाजवणे. प्राणायाम करताना उच्छवासाचा आवाज किंवा शिट्टी वाजवल्यासारखा आवाज करत श्वास सोडणे. हवा फुंकून नाद व संगीत निर्माण करणारी वाद्य्ो वाजवणे. उदा. सनई, बासरी, क्लोरोनेट व यासारखी इतर. सगळ्यात महत्त्वाची गोष्ट म्हणजे योगातील कपालभाती क्रिया. कारण कपालभाती क्रियेत जलदगतीने श्वासोच्छवास क्रिया केली जाते व उच्छवासाच्या वेळेस श्वासाचा आवाज करत जलद गतीने देहाबाहेर टाकला जातो. हे कंठाला अतिशय घातक आहे. कारण या क्रियेत कंठ खुला करणारे स्नायू आकुंचन न पावता कंठ बंद करणाऱ्या स्नायूंची क्रिया जास्त होते. अतिशय जरुरीची आणि महत्त्वाची गोष्ट आहे. कपालभाती किंवा इतर सर्व उच्छवासाच्या वेळेस आवाज करण्याच्या क्रियांमधून साधकास इतर काय फायदे होतात हे त्यांचे त्यांनाच माहीत. पण उच्छवासाच्या वेळेस श्वासाचा आवाज होणारी कोणतीही क्रिया ही कंठ बंद करणारी क्रिया असल्याने ॐकार साधकास ती घातक आहे. कारण नादचतन्य ॐकार उच्चारणातून निर्माण होणारी परमशुद्ध स्पंदने त्याला प्राप्त होणार नाहीत. सारांश – ॐकार साधकास उच्छवासाच्या वेळेचा श्वासाचा आवाज करणारी कोणतीही क्रिया १०० टक्के वज्र्य आहे, घातक आहे. कारण ती कंठ बंद करणारी क्रिया आहे. म्हणूनच प्रत्येक ॐकार साधकाने नादनिर्मितीचे मूलतत्त्व पक्के ध्यानात ठेवावे ते म्हणजे – आवाजनिर्मिती नाही श्वास सोड क्रिया आवाजनिर्मिती ही तर श्वास पकड क्रिया. In this universe which is dark, miserable, are suffering, their answer will answer that it is Omkar. The doctors discovered that he no longer went to the connotation, Omkar will respond; But when? When the call when he put the exact words. It will help if he did the right accent. This khun-gaath heart sadhu santani met many doctors for guidance on the pronunciation of the Omkar weather. Omkar mahatmya the know-all; But you could not tell specifically about how to pronounce the scientific. And they themselves started to study. Gita, upanishad, sant-sahitya read. Study of modern and avaaj shastra vaani shastra. After 3 years of research such as cakes, they got the answer to your question. They should then be mixed with the Omkar uttered onantara bindumatra and the gunjanata Assisted. He laid it on the grahya janalya di onkaraca quantities in half and thus realize bindumatra Omkar wave gave him the name. “m” is 2 seconds for the division. After continuous practice by the doctor, several methods of Omkar pronunciation found. This topic is obviously the opportunity to plead for them in the first 1 999. Nashik gandharva mahavidyalayatarphe was conducted All India Council ganasiksaka. It ‘avajasastra onkarasastra’ to speak on the subject was given a half-hour; But actually stood to speak in front of 500 experts and they did not thambuca singers. Two and a half hours and they were talking in a row. This unprecedented response after doctors began to take several singers. Omkar Upacharanbarobar your medical patients with critical pair therapy they did this. It began to get incredible results. Their own throats if it is still 3 months before the tuneful and equally audible. Onkaraci sake of the deceased have ever been to the doctor for treatment and guidance for many or big singer. Some of the names asi Pt. Firoz Dastur, Yashwant Deo and Sonali Rathod, Sunidhi Chauhan, Ravindra Sathe, Milind Ingle, many Anuradha Marathas. Also, if the government’s cultural department of the local singers and a half-day to a health camp in Goa ayojalam. Omkar’s fair uccaranane vanidosa get away 100 percent, that specific claim, while the doctor said, as mobile Once up the charge that remains active for a long time, as the device Omkar developed by doctors 20 minutes in the morning, the next 24 hours you energized and refreshed can stay. Omkar uccaranatila sastradekhila he said. They said, the tools do not want to ever take a lot of inspiration. Breathing should always come easily speaking. Also two Omkar uccaranamadhila breathing saptangane (mouth, chaplet, stomach, easily, rhythmic, towards the back of the upper and lower lungs) should be taken. Omkar easily research their pronunciation, rhythm, nadamaya, glorious, holy place, temple Moreover, ghantanadasarakha dharesarakha oil and air to come. He should be glad sadhakacam mind. It was tiring work, and not repeat the onset affinity should pronounce. Expertise: Palmistry. He claims to be able to change the unfavourable lines on a palm. Qualification: M Com from Ravishankar University, Raipur. Taste of success: A young engineer approached him six months ago, for business consultation. Banerjee told him that he was destined to go abroad, giving him the time and the destination. At that time, the young man had no plans of going abroad, but some time later, his mother informed Banerjee that the boy had just left for the US. Clientele: Actors, politicians, industrialists, exporters, engineers, doctors and scientists. Fees: Rs 500 for the first sitting, Rs 300 for subsequent visits. Qualifications: She has garnered knowledge from the masters of the occult and has studied the mystery of life and death. Taste of success: She predicts events, prepares people for the future and guides them. No one success story can be singled out as she feels that each person’s life and the accompanying problems are unique. Qualifications: A PhD in English literature, she says that all para-psychological matters need a thorough study and constant reading on the subject. Doesn’t believe that any prescribed course helps because Tarot depends heavily on intuition as well as interpretation. Taste of success: A retired judge from Dehradun had to undergo a hernia operation. He was extremely scared, but his son and daughter-in-law wanted him to go ahead with it. While doing the spread of cards, Patel discovered the possibility of a cardiac complication. As the judge’s cardiologist was not available at that time, he decide to defer the operation by a month. When the operation did take place, an overdose of anaesthesia led to a cardiac problem, but the situation was salvaged due to the presence of the cardiologist. Clientele: Film stars, models, judges, industrialists. Taste of success: Sachin Tendulkar and some film stars have benefited from her predictions. She has told politicians about impending victory or defeats at the ballot box. Many people also consult her for help in their relationships, business and health matters. Clientele: Bollywood stars, fashion designers and politicians. Expertise: Tarot Qualifications: MBA from the Xavier Institute of Management, Bhuvaneshwar. She learnt Tarot card reading for nine months. Taste of success: A 35-year-old housewife with three kids who had never worked before now manages her husband’s business on her own, thanks to Anita, who suggested that she go ahead. Clientele: Includes top politicians and film stars. Fees: Rs 500 per consultation.